2. And this stoic one. 5. This ghost with ears. 9. …and this cutie sleeve. 11. This little guy who just wants a treat already. 12. This one who tried, he really, really tried. 14. This ghost who WILL trick you if you don’t treat him. 17. 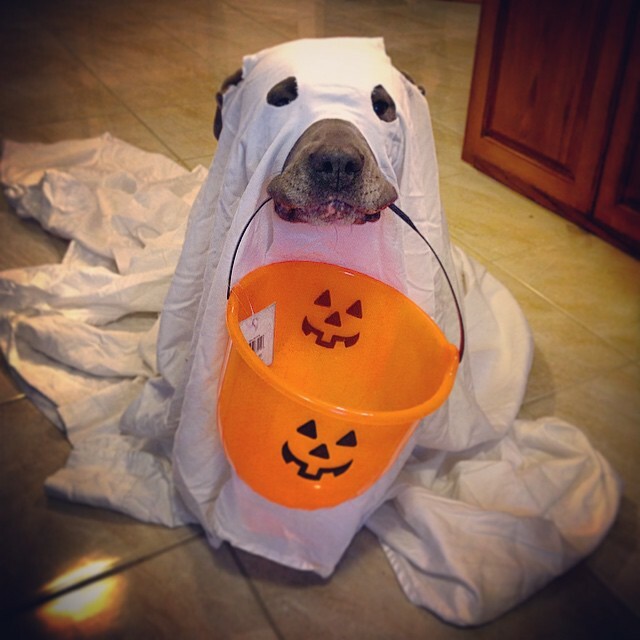 And finally, the winner of all ghost dog costumes!